You’ve walked into your home, notice the dog scratching a little more often than usual, and all of a sudden you feel a slight pinch on your leg – you’ve been bit. Before you can slap the bug, you notice it hopped off of your leg. It’s a flea. Fleas can lay eggs every 12 days. In a single month, a female flea can produce 600 offspring. If you don’t take action immediately, your home will be overridden with fleas. The first course of action should be to place a flea trap, or several, in your home. 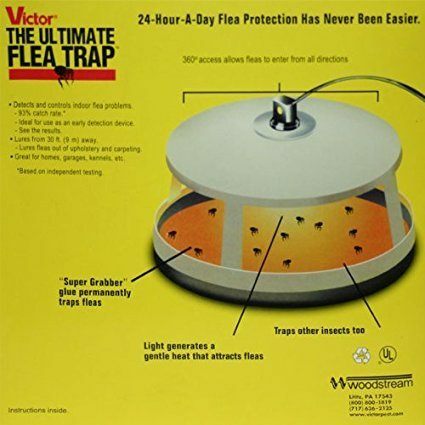 Traps are the natural first choice before deciding to flea bomb your home, which is a hassle to say the least. Do Flea Traps Really Work? Flea traps are devices to lure fleas in and then capture them, making it easier to get rid of them. They are necessary and very useful to have around pets, as their fleas may easily become your fleas in no time. The main idea is based around the fact that fleas are attracted by a heat source. They will search for a host with a similar body temperature as their target animal. That’s where you will get them. As a result, flea traps have a built-in heat source, most commonly in the form of a small and low-powered light bulb at their top. Under the source of the heat lies an adhesive pad that catches the fleas as they head towards the light. Some of the pads are covered in chemicals that also kill fleas on the spot. Others simply pin them in place and you can then dispose of them outside your home. Unknowingly, you or your pet will drag the fleas into your home. If you want to know where to buy flea traps, you’ll find flea traps at Walmart, flea traps at Home Depot and even flea traps at Lowes. Target, supermarkets and of course, Amazon and online retailers will also sell flea traps. The question is what trap should you choose? Electric Flea Trap: Electronic traps vary in nature. Some of these traps, such as the Victor M230, are electronic and will lure in fleas through heat and light while trapping them in a glue. Other electronic traps are not traps at all, but repellents that send out electronic pulses to repel fleas and a variety of other pests. And these are the two types of traps you’ll find. If you have a severe infestation, it may be wise to go with a fogger or a flea bombing. 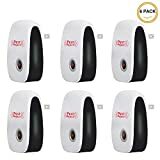 Hot Shot bed bug fogger reviews are very promising if you’re looking for a fogger. And don’t worry, these foggers kill bed bugs and fleas. We recommend trying traps first because foggers are a form of poison, and you’ll need to cover all of your electronics, vacate the home for a few hours and make sure every living thing has been removed from the home. If you live in an apartment, you may not be able to use a fogger because it can harm your neighbors by making its way through the ventilation. And this model attracts fleas from up to 30 feet away. The fleas will jump into the Victor flea trap and get stuck in the Super Grabber glue. This will cause the fleas to die over time from dehydration and starvation. Refills are available for the traps since you’ll need to use glue discs to trap the fleas. If you have a place where your pet likes to sleep, this is a good spot to keep the trap. When the fleas jump off pets, they’ll be lured to their demise. Victor flea trap reviews are positive when there is a big infestation. When following their recommendation of washing your pet and vacuuming, the results will be amplified. The Springstar S102 offers a two-pack trap that is one of the best in the industry. The S102 also comes in a one-pack version, but the more traps, the better. Fleas will flock to any area in the home where they can stay warm and multiply. They also have a special love for carpeting. Pesticide-free, this trap uses heat and lights to attract fleas. Fleas will be attracted to the trap from up to 25 feet away, and this will cause them to jump on the trap’s grid and fall through to hit the sticky surface underneath. The sticky surface will trap the fleas in place. When using these traps, you want to place them in strategic locations. If you have a dog, a place near where your dog sleeps is recommended because fleas will be more abundant in this location. Utilizing multiple traps in key areas of the home will allow you to get your flea problem under control. Within just a day or two, you’ll spot trapped fleas that are dead in the trap. The ZEP ONFT01 is a nightlight that is actually a flea and insect trap. 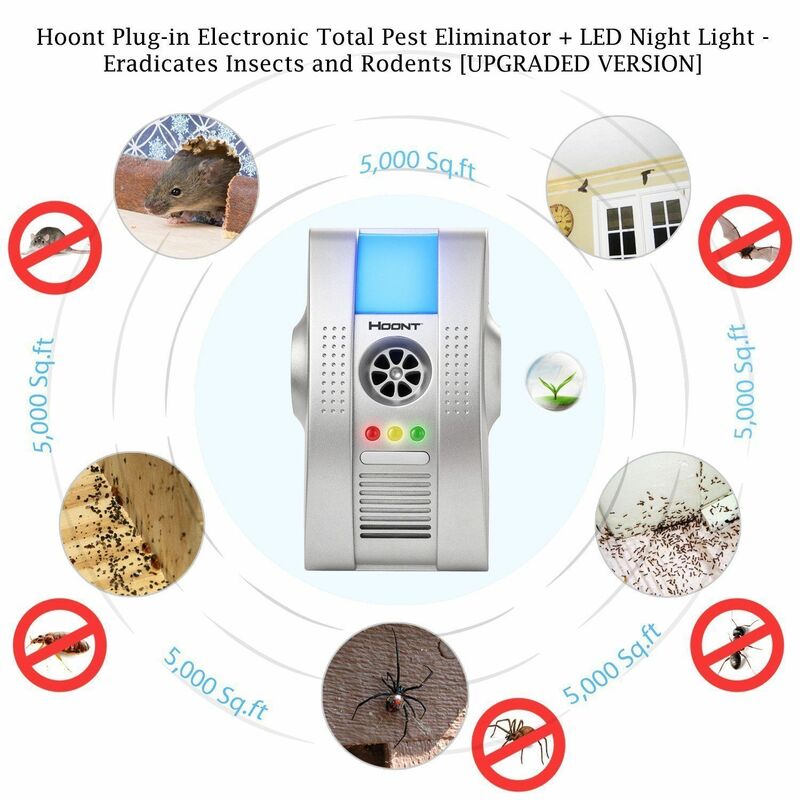 All you need to do is leave the unit plugged in the wall while you sleep, and fleas as well as other insects will be attracted to the light and heat emitted by the unit. The result? The insects and pests will fly to the light and get stuck on the adhesive. Any bugs that are attracted to heat and light will flock to the ONFT-1. This unit works best when using other methods, too. If you rely on just this trap alone, you’ll notice a reduction in fleas, but it will not kill all of them – they multiply far too fast. A few tips to using this model most effectively are vacuuming daily and putting flea control on your animal. Frontline is a good choice, and has been shown to repel fleas and ticks from dogs and cats, which is a good thing since they’ll flock to an animal’s thick coat first. And it has some rave reviews, too. The key to this device is that it emits 20-55KHZ waves that aren’t audible to humans, but audible to all of the rodents and pests listed above. There are three units included with your purchase, and these units work for up to 1,350 square feet per unit. Strategically placed, all three units used at one time will work for a 4,000-square-foot home. 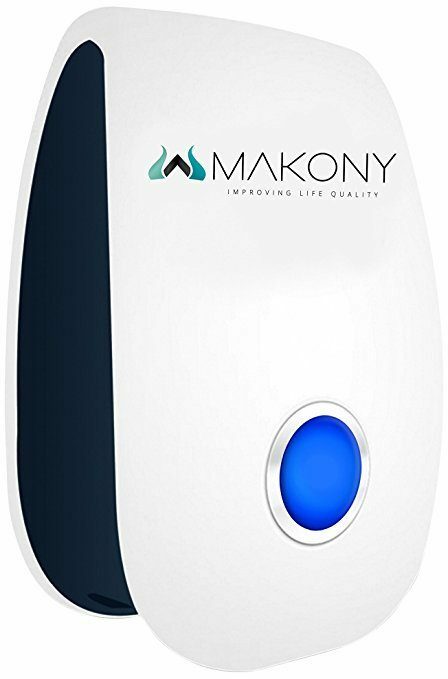 Users simply need to plug the unit into the wall, and pests are repelled. Since no pesticides or harmful substances are used, these repellents will keep pests away without fear of harming your dog or children. Results take 2 – 3 weeks to really start showing themselves, so this isn’t an overnight solution by any means. And this is just a small list of the number of pests that this model will help repel. Pulse signals are emitted from the device that act as an irritant to any pests in the home, but humans won’t be able to feel these pulses. Bugs that make their way into your walls will also be able to feel the pulses and be inclined to leave as a result. The two units have a range of 5,000 square feet, so most homes will only need to use the two units included in the pack. And if you have dogs or cats, don’t worry – they can’t feel or hear the pulses. Place one of these units in each room where there is an abundance of fleas, and they’ll slow in numbers quickly. It’s important to know that for the first two weeks while pests are being flushed out of your home, you’ll notice an uptick in fleas. This uptick is a result of the pests fleeing out of their hiding spots and making their way out of your home. Fleas are resilient, and you need to be very proactive if you want to rid yourself of them. You don’t want to spend money on flea traps when a DIY flea trap can cost $1 or $2 to make. Trust me, I understand. And it’s also nice to make your own homemade flea killer because you’ll know exactly what you’re placing around your home. When using commercial traps, there may or may not be toxic ingredients in them that can harm your cat, dog or child. 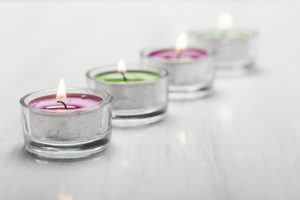 Tealight Candle: A tealight candle is small yet produces a good amount of heat and very moderate light. The downside is you’ll need to make sure the proper safety precautions are taken, so you don’t set your house ablaze. We recommend placing these candles on a metal dish of some kind with the bowl in the middle of the dish. You can use a pizza pan, for example, and place the bowl in the middle. The candle can be placed right outside the bowl, and on the metal. This will protect your home from going up in flames. Small Lamp: A lamp, much like a computer lamp, can be placed near the bowl a little more safely than a candle. These lamps, if possible, should illuminate the water so that the fleas will be attracted to the light and warm water. We recommend trying a small lamp, but if you feel confident in that fact that you have a secure place for your candle, you can choose either method. You’ll want to follow the guidelines we just talked about, but first you’ll need to make your mixture. Add in two tablespoons of dish soap. And simply place the bowl in the middle of the pizza pan as discussed. You’ll need to place your DIY flea killer in any areas where fleas are most prevalent. Areas where carpeting is present or animals have a tendency to lay are the best bet. Most people recommend setting the trap before bed because the light will attract the fleas and cause them to jump into the water. Remember: When using a candle or an electrical light, use common sense and ensure that everything is safe. If you’re worried, a candle holder will do the trick. Also, never place the lamp in a place where it can fall on the floor or in the water. After the first night, you’ll notice that many of the fleas fell for your trap and jumped into your mixture of death. It’s pertinent to dump out this trap daily and refill it. if you have any pets, make sure that they cannot access the trap. You don’t want your pet to knock over the lamp or candle, and you don’t want them to drink soapy water either. Flea traps are good tools if you actually have a flea infestation problem in your home. 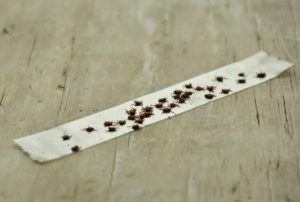 They make it easier to assess the situation by attracting these pests to the adhesive and sticking them into place. You can easily count the number of bugs that you have caught over some period of time and see if it is rising or not. In addition to that, you can easily identify the species of fleas once they are pinned down, determine the source and define the means to get rid of them. They serve as a potential flea infestation alarm and are also an excellent indicator of how efficient the insecticide you are using is. Once the infestation is over, they will prove that there are no bugs left around your house. These traps are not enough to deal with the active infestation in your home though. They are simply a form of quick help, just until you figure out what to do next. They are not very efficient, as most of them won’t catch 100% of the adult flea population. They will cover around 12%, instead, which is a very low number. However, there is a way to improve the efficiency of these traps. If you add intermittent light and green light in the mix, your trap will capture as much as 85% of the adult flea population in your house. Flea traps are only good for catching adults. The so-called pre-emerged adults are the ones causing many problems. They stay inside their cocoons for up to five months. Once they come out, they start laying eggs and start the cycle all over again, without being captured in your trap in the meantime. On the other hand, some of the fleas go through this stage very quickly and attach to your pet as soon as they emerge from their cocoons, following the trail of pressure and temperature. 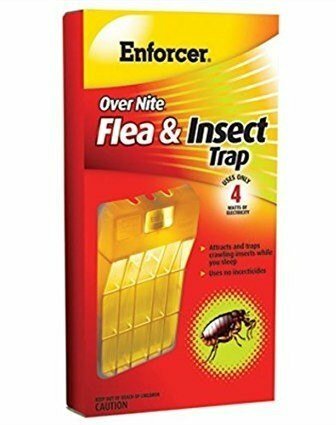 Instead of using them on their own as the main combat source, you should make them an addition to a more elaborate strategy for fighting fleas around your house. With that in mind, use flea medications on your pets too. Flea medications may be administered orally or locally, directly on their skin. In addition, treat the bedding and surfaces around your house with a substance named methoprene. If you find medications to be too expensive, use the regular shampooing and combing technique to get the fleas out of your precious pet’s fur. For the highest level of protection, use your flea traps in order to assess the level of infestation as well as the efficiency of your flea-fighting strategy. To maximize the efficiency of your flea traps, it is very important that you place them on strategically convenient locations, where they are able to attract a majority of the adult flea population. 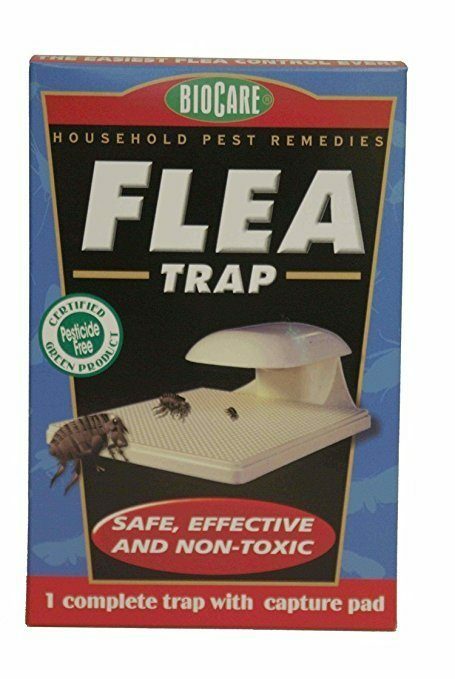 Since fleas are attracted to your pets in the first place, the most logical location for your traps would be around areas where they spend a lot of time playing, lying around, eating and enjoying themselves. For example, if your pet sleeps in its own bed or on a mat that is always on the same spot, that is the best possible place for your flea trap. If you wish to protect yourself from the biting, itching and scratching, you can also place the traps around your bed as well as in rooms where you spend most of your time in. That way, you can make sure that the fleas are distracted from your skin and the number of fleas biting you will be reduced to a very minimum or eliminated entirely. It is very important to take some steps and use preventive measures to keep fleas out of your home and stop an infestation from developing. If you invest your time, energy and money in prevention methods, you will most probably avoid many serious problems that can last for weeks. If you have a yard, it is important to start your prevention strategy from there. It is essentially the first line of defense against these bloodsucking pests. Your grass should be mowed and shrubs trimmed to make sure fleas will have less room to hide and breed in. 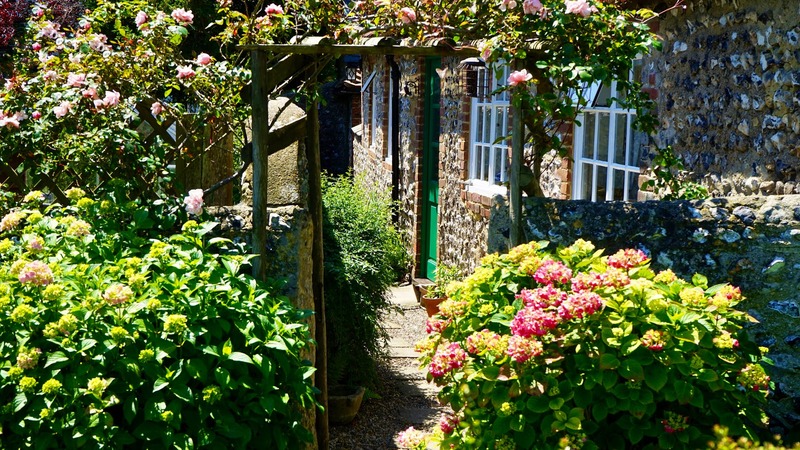 What’s more, don’t sow plants and shrubs too close to your home. Make sure they have some space to move around in the wind, as every time a flea larva gets exposed to direct sunlight, it will certainly die. You should also protect your yard from wildlife visits, as fleas often travel with creatures such as opossums, raccoons and feral cats. Don’t leave out your dog or cat’s food bowls outside, as these will inspire late night visits for sure. Next, you should make sure your attic is not easily approached by wildlife by cutting trees and shrubs to a certain length. If the branches are touching your walls and your roof, you will surely have a wildlife highway on your hands and your attic is more than inviting for all of them and their fleas. Seal any openings as well, as they give them the opportunity to crawl in and make themselves at home. Your garage, shed, or under decks will serve as an excellent resting and nesting area, so make sure you protect them well. For maximum protection, apply commercial flea sprays around your garden. There are many different brands and types of these sprays and you can find them in just about any local hardware store. It is very important to combine different methods in order to protect your pets and yourself from a flea infestation. Arrange flea traps around the places where you and your pets spend the most time in. Next, it is very important that you bathe and comb your pets regularly to avoid bringing in pests from the outside. Regular grooming will help prevent infestations and will help your pets be healthier as well. Use a special flea comb on your pet’s fur and concentrate especially on the neck and tail area. After each brushing, clean your comb with soapy water to kill all the fleas. After your pet’s fur is thoroughly combed, use a flea controlling shampoo and give him or her a bath, following the manufacturer’s instructions. You can relax during winter, but it is recommended you do this regularly during spring, summer and fall. On top of that, you can also use topical or oral medications to make sure your pet is completely protected from fleas and other parasites as well. First of all, let us say that having fleas in your home doesn’t necessarily mean you have issues with hygiene. It is simply a sign that some of your prevention methods are not giving the desired results and that you should reconsider changing your defensive strategy. You will have a better chance to spot a possible infestation during its early stages by maintaining the cleanliness of your home, While it is still easily manageable, use natural products that do not cause potential harm to your and your pet’s health. If you pay attention to certain areas in your home and clean them regularly, these pests will feel less comfortable there and will not breed inside your home. Make sure you use your vacuum cleaner regularly. Flea eggs, larvae and pupae tend to live in your carpets and rugs. To prevent a possible infestation, it is recommended that you vacuum your home around three to four times a week. Use a strong, good-quality vacuum cleaner with intense suction power to make sure all of the debris and possible traces of pests are removed from your floors. For the areas that are hard to reach, use a brush or nozzle to make sure you can clean them thoroughly as well. In addition to vacuuming floors and carpets, focus your attention to sideboards, furniture, spaces around your windows and especially around areas your pets spend a lot of time in. You see, fleas tend to stay away from high traffic areas in your house and hide in nooks and crevices, so be as thorough as you can. After you finish vacuuming, remove the debris from your cleaner immediately to prevent these pesky little creatures from crawling out and around your house. Wash your beddings, draperies, clothes and rugs too, as flea eggs cannot survive the washing cycle, especially if you use the hottest water setting in your washer and dryer. Items you should wash include your pet’s beddings, crate, toys as well as your blankets, sheets, pillow cases, pillows, towels and clothes. You should wash everything at least once a week to make sure eggs and larvae are removed. When you realize you have a flea infestation on your hands, there is no time to wait. React as fast as you can to make sure the situation won’t worsen. If the infestation is persistent, then you should consider using an insecticide to get rid of adults and their eggs as quickly as possible. To make sure you will have a long-lasting effect, use the insecticide with an insect growth regulator and apply it inside and outside of your house. When you do this, get your family and pets outside the house and protect all of your electronics. Put on protective gear and apply the insecticide on the floors, walls, furniture and other surfaces inside the house. Leave the spray to settle and vacuum everything once again after 48 hours of application. Outside the house, spray your grasses, bushes and shrubs, around windows, doors and other openings as well. If you own a pet, it is highly likely that you will have a flea-related problem at least once in your life. To make sure you avoid a disaster in the form of a home infestation, use preventive measures and react promptly upon the first sign of a possible problem. Flea traps are a good way of testing if you have a problem and how effective your solution is. In addition to that, flea traps are an excellent addition to your regular flea defense strategy as well.